Isn't every night Dude night for this bun? And that is one festive picture - sort of puts the topper on my Holiday season! 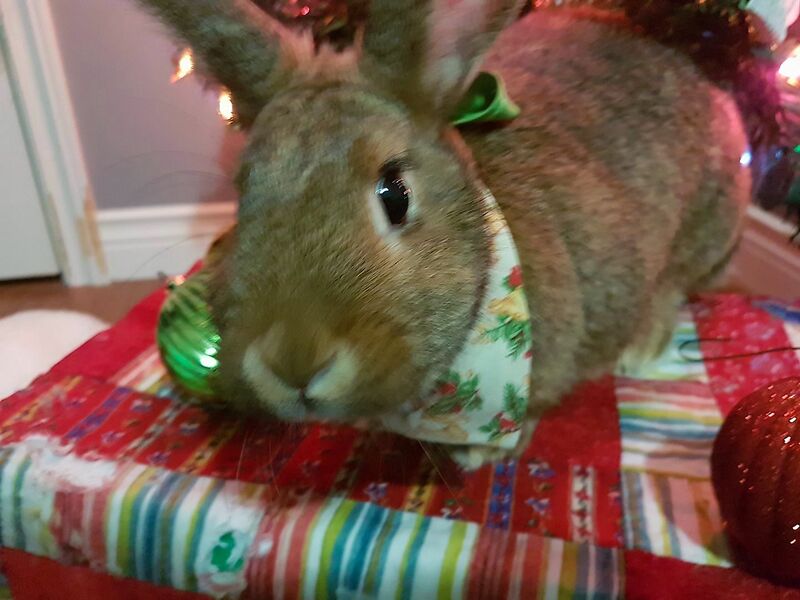 How nice to see such an eager little Christmas bunny! I hope her stocking is filled with treats and is also edible.